UPDATED Feb. 24, 2016: Due to a correction to the data in another state, Iowa’s rank has changed to tied for 11th overall. A grieving Burlington, Iowa, family had to fight state and local agencies for months to get official records about a fatal police shooting of a 34-year-old mother. Although such records are routinely released in many jurisdictions, the family began to make progress with its request only after Iowa’s Public Information Board, created three years ago to arbitrate such disputes, intervened on its behalf. IowaWatch assistant editor, data analyst and reporter Lauren Mills participated in the Iowa portion of this investigation, asking predetermined questions, doing follow-up interviews, responding to investigation organizers’ requests for more information, re-checking data and writing this story for the Center for Public Integrity’s report. The fact that state authorities sought to obstruct the disclosure explains, in part, why Iowa received an overall grade of D+ in the State Integrity Investigation, an assessment of state government transparency and accountability conducted by the Center for Public Integrity and Global Integrity. The score ranks the Hawkeye State tied for 11th out of 50 states. That’s a drop from the first time the project was carried out, in 2012, when Iowa earned a C+ and ranked seventh, though the scores are not directly comparable due to changes made to improve and update the study and its methodology. A 12-second excerpt from a video of the Burlington incident, taken by a policy body camera and released by the state Division of Criminal Investigation, attracted considerable public interest. It initially shows a snowy residential street filled with the sound of a child crying. The video shakes as the officer runs towards a couple fighting on the sidewalk. “Stop it,” he yells, and then, as a dog begins barking, he tells them to “get your dog” away. The camera jolts, and two shots ring out. Off camera, the woman groans after being struck by two bullets. “They are our records. We paid for them. It tells the public what happened in this incident and they have a right to know,” said local newspaper editor Steve Delaney, who sought access to the full video as well as other records. The officer was cleared of wrongdoing, but requests by the family of the woman he shot and by Delaney’s newspaper, The Hawk Eye, for police investigative reports, 911 telephone transcripts, and all the related body-camera and dashboard video were denied. On Sept. 17, however, members of the Iowa Public Information Board voted five-to-three to take up their complaint. The board promised to seek an informal resolution or, failing that, to launch an investigation that could compel the agencies to release the records. Overall, Iowa has achieved some gains in public records access, and its score of 73, or a C-, in this category of the project was the best in the nation. The Iowa Public Information Board was created by state lawmakers in the aftermath of the first State Integrity Investigation, when Iowa received a failing grade for public records access. The board fields complaints about records requests and alleged open meetings violations. It can seek informal resolutions for disclosure requests or conduct a formal investigation. If a violation is found, the board can issue civil fines of up to $2,500. Gov. 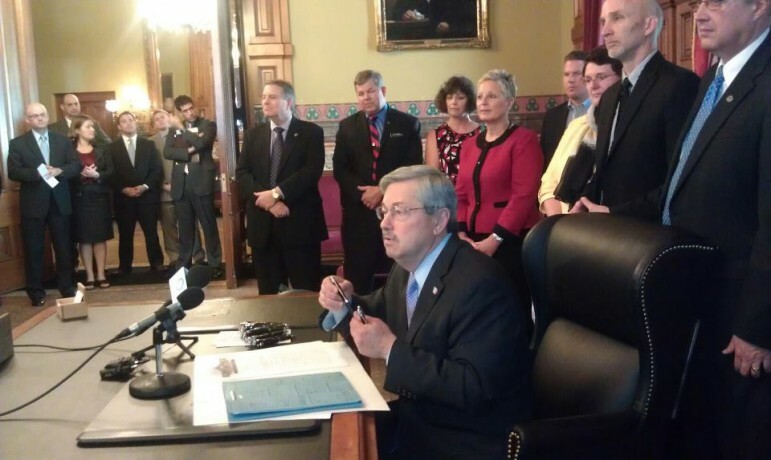 Terry Branstad signs into law on May 3, 2012, a bill that establishes an Iowa Public Information Board but also exempts certain preliminary drafts from being public records. Access to records improved after members of the board began briefing state and local officials about the open records and meetings laws, said Rox Laird, a recently retired editorial writer with the Des Moines Register and past president of the Iowa Freedom of Information Council, a nonprofit group promoting greater government transparency. Before the board was created in 2012, the fight for such records would have gone through expensive, lengthy court procedures. But Iowans still face challenges when requesting law enforcement investigative files, procurement bid documents and personnel files, Laird and others said. Gaining efficient access to such records is “the only way people can know what’s going on in their government, how their tax money is being spent and whether public employees — who work for the public after all — are doing their job,” Laird said. 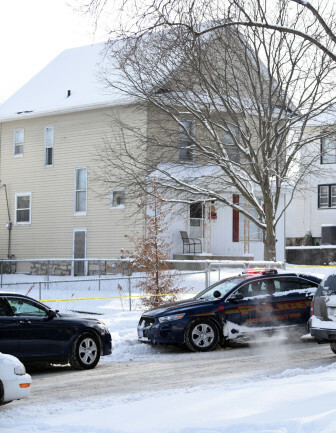 Burlington Police Department in front of the home of Gabriel and Autumn Steele where, Autumn, was shot and killed by Burlington police officer Jesse Hill when answering a domestic disturbance call at 10:25 a.m. Tuesday Jan. 6, 2015 at 104 S. Garfield in Burlington, Iowa. 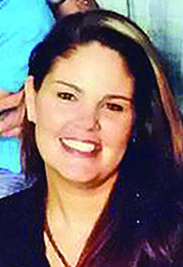 After requests were made for the full Burlington shooting video, for example, state officials cited a court ruling in nearby Polk County that police officers’ investigative reports can remain confidential even after the completion of an investigation – in contrast to police agencies’ email and telephone billing records, which become public at the end of an investigation. W. Charles Smithson, the Public Information Board’s executive director, said “it is a matter of statutory interpretation.” But he agreed that the law has “an awful lot of exceptions” that could be tightened up. Separately, the Associated Press is waiting for the board to act on a complaint it filed over the state’s refusal to release the results of an internal probe of three state patrol officers put on leave and then allowed to return to work. The Department of Public Safety has said the probe results are confidential under exemptions for personnel records. Iowa received its worst marks for the categories examining judicial accountability and lobbying disclosure, receiving an F in both. 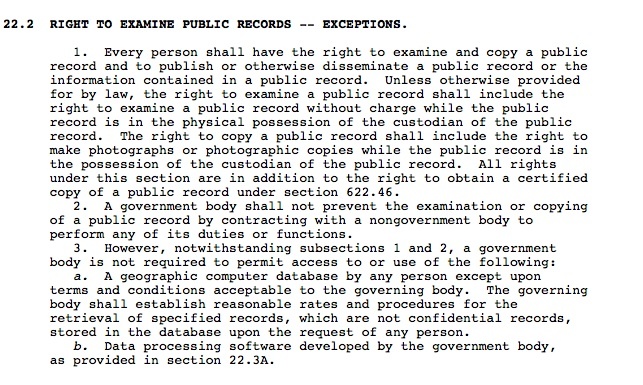 Iowa Code provision for inspecting public records. Others have expressed concern about transparency in the state’s procurement practices, for which the state earned a D-. 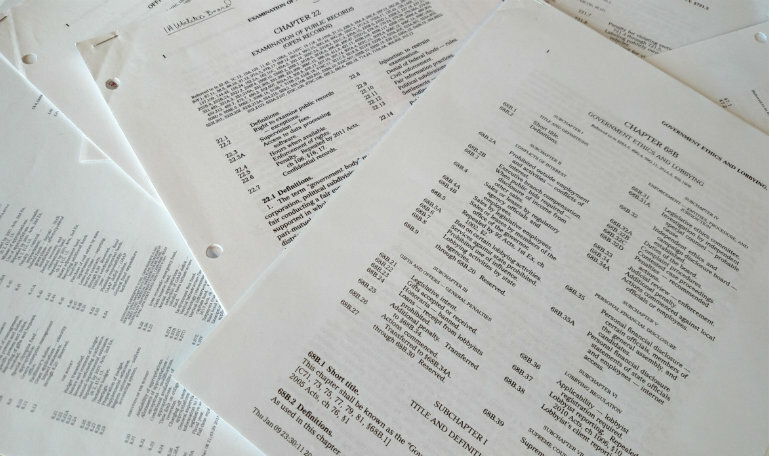 When the Des Moines Register requested copies this year of a company’s bid to monitor state employee medical absences, for example, it found one company redacted entire pages of its bid, including the executive summary, as allowed by the state. The Register reported that the Department of Administrative Services routinely allowed businesses to redact confidential information, such as trade secrets, from public documents. Caleb Hunter, spokesperson for the Department of Administrative Services, said the agency doesn’t have the expertise to judge a company’s assertion of confidentiality. He said the department has discussed the issue internally and with the Public Information Board and state attorney general’s office, but the agency has not changed its policy. He pointed out that the documents in question eventually were released after the department notified the company, which chose not to seek an injunction. Laird, the newspaper’s former editorial writer, has disputed the agency’s position and said that determining what information can be kept confidential is the government’s responsibility. Smithson, at the Public Information Board, seems to agree. He said that in his view, the companies had excessively censored information, and that the board hopes that in the future, government agencies will be the ones redacting information. Although Iowa earned a failing score for judicial accountability, it was not alone — 33 state states earned an F in the category. One of the reasons for Iowa’s low score was the absence of any state government effort to evaluate the performance of judges. He added that because the reviews are performed by an independent organization, rather than the state, they are not swayed by outside influences or issues. 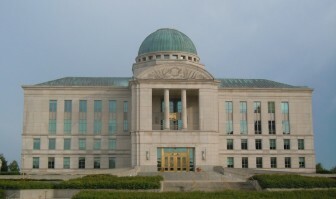 The score also suffered because judges’ asset disclosures are available only as paper copies, which must be obtained through the Iowa Supreme Court’s clerk of court office. The disclosures, which can reveal a judge’s conflicts of interest, also are not audited. Gowder noted that by not making all the records easily accessible, only people with an intense, narrow interest are likely to hunt them down, such as those running negative political campaigns. It would be “a fairly easy process for the state to scan the reports and put them online,” Gowder said. In one positive step, Iowa this year became the first state to create an all-electronic filing system for court documents down to the district court level. But only lawyers, law enforcement and individuals involved in a case can access the files at any time and from anywhere, while citizens must access the files from a computer kiosk in a courthouse during office hours. This IowaWatch story was published as part of the Center for Public Integrity’s full report on its website and republished by The Des Moines Register, Mason City Globe Gazette, The Hawk Eye (Burlington, IA) and Iowa City Press-Citizen. State Integrity 2012/Grading the nation: How accountable is your state?